"Why Gorilla?" This is the most common question we are asked when we introduce the company.  "Gorilla" sounds a lot like "guerilla" which is associated with guerilla warfare or guerilla marketing – using unconventional, mostly innovative means or strategies of advertising in the face of forminable odds or costs. We believe that although businesses need to market and advertize, they can be effective without breaking the bank. And then there's the gorilla - king of the jungle, strong and powerful but patient – even docile – until provoked. Combine the two and you get a company that prides itself in being unconventional yet effective in the larger jungle that is the market – backed by the power of creativity, innovation and technology. GORILLA is a full-service printing company equipped with 4 Color offset, Digital and Large Format Printers to meet all your printing needs. We are capable of printing a wide range of media and paper stocks.